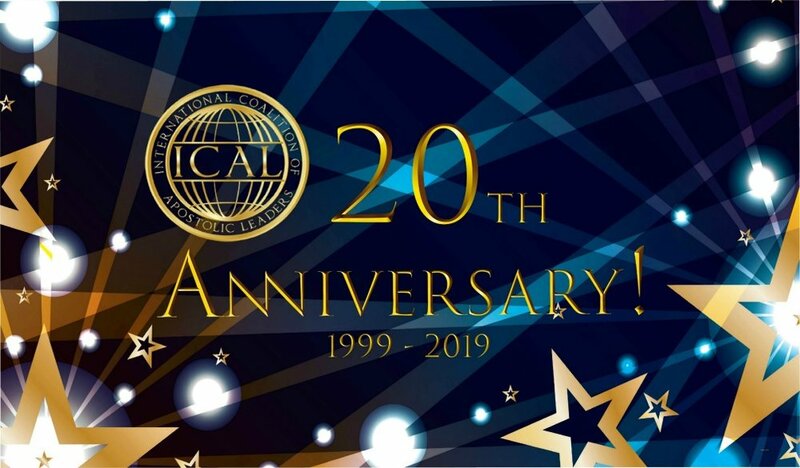 The idea for ICAL was conceived in Singapore in 1999 by several apostolic leaders as they discussed how God could use the combined efforts of a group of global apostolic leaders to more effectively advance the Kingdom of God. In order to accomplish the mission, establishing a communications center would be essential. After the discussion, a few of the leaders, including Dr. C. Peter Wagner, gave private council to John P. Kelly to consider forming an international council. After speaking with other apostolic leaders, Kelly believed it was God’s will for him to establish an apostolic coalition. He then organized an internal council and began inviting other apostolic leaders to join ICA (International Coalition of Apostles, the original name of ICAL). In 2000, at the first Annual Gathering, John P. Kelly was set in as the Presiding Apostle for ICA. In 2001, God directed Kelly to ask Peter Wagner to accept the position of Presiding Apostle and the management of ICA moved to Colorado. Kelly then continued to serve ICA as the Ambassadorial Apostle representing ICA globally, Presiding Apostle Peter Wagner, and conducting ICA Regional Summits throughout the United States. In 2009, on the eve of his 80th birthday, the Holy Spirit directed Peter Wagner to ask John Kelly to again accept the position of Presiding Apostle for ICA. The headquarters was then transferred back to Texas in the spring of 2010. With an official handing-of-the-baton ceremony at the 2010 Annual Gathering, John P. Kelly became the International Presiding Apostle and C. Peter Wagner became the Presiding Apostle Emeritus of ICA. Then Kelly decided to not use the title of ‘Presiding Apostle’ and instead use the term ‘Convening Apostle’. The reason being that the term ‘Presiding Apostle’ conveys a vertical, top down governmental position, but the term ‘Convening Apostle’ conveys a horizontal position and relationship. In 2011, John Kelly began to establish National Convenors for indigenous apostolic leaders within their nation. He also began to personally raise up Ambassadors to represent ICAL. These National Coalitions would be in fellowship with global ICAL members, but governmentally autonomous from ICAL. During the 2013 Annual Conference, the ICA name was changed to ICAL - International Coalition of Apostolic Leaders. The reasons for this: the function of the apostolic gift-bearing fruit is more important than the title “apostle’ and the majority of apostles throughout the world are called pastor, bishop, prophet, and some are called superintendents. It does not matter what their title is, what matters is that all members of ICAL should be apostolically advancing the Kingdom of God fulfilling the great Commission and be recognized by their peers as apostolic leaders. The vision and mission of ICAL is Revival, Reconciliation, Restoration and Reformation within the nations of the world to fulfill the cultural mandate and Great Commission mandate that the Church (Ecclesia) be an influence spiritually, governmentally, and economically.